social behavior | O’HARA & CO.,LTD. Social interaction test- Dr. Ogawa ver. subject’s movement: number of entries & cumulative duration around the cylinder. This entry was posted in Products and tagged emotionality, social behavior on 7月 26, 2015 by admin. 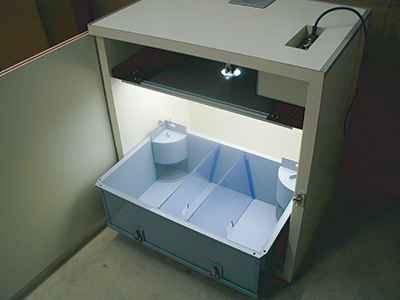 Special cages designed to house up to four subjects are utilized in this test. 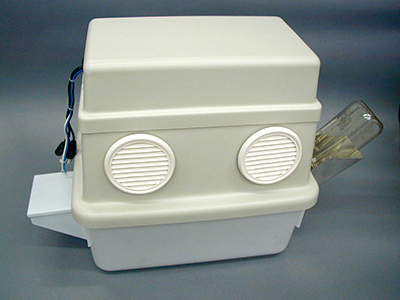 Each cage is equipped with a CCD camera placed directly above and captures images at 1 – 2 frames/sec. 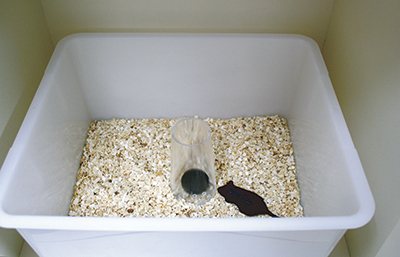 To reduce any interruptions during image capture, both water bottle and food box are fixed on the sides of the cage. 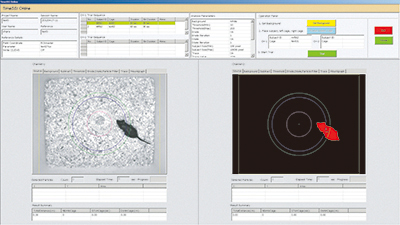 When only analyzing a single subject within the cage, each image frame is converted to a binary image and the elliptical subject particle is tracked by using the center of the particle. With this analysis, the software can measure the subject’s distance traveled every minute. 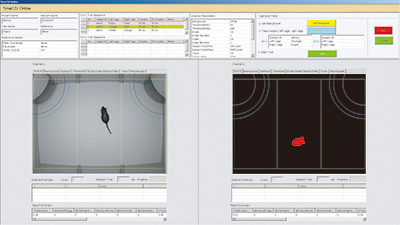 When two to four subjects are housed in the cage, each image is converted to a binary image and the software calculates the difference of changed area from the previous image to measure the amount of activity. 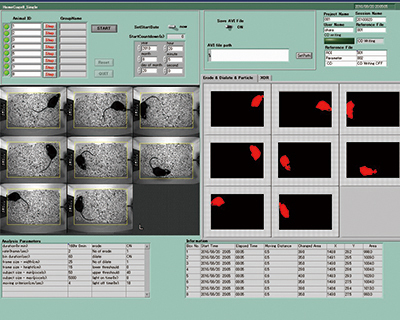 Furthermore, to analyze whether the subjects come in contact with another during testing, the software analyzes the number of particles in each image frame. This analysis shows when the subjects are in contact with others or are separated. If a large capacity hard disk is connected to the computer, the software can also store serial images during testing. 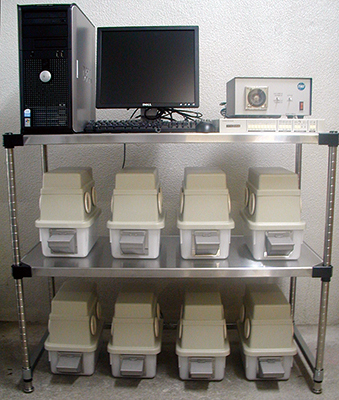 The software automatically analyzes and stores all data files and images throughout testing. This entry was posted in Products and tagged amount of activity, biological rhythm, locomotion activity, social behavior on 7月 23, 2015 by admin.